I just love warm weather so it's a good thing I live in Texas, isn''t it? Lately, even though it's warm I'm still dreaming of the beach and the fresh saltwater. This inspired me to make an art journal page and here's a tutorial. 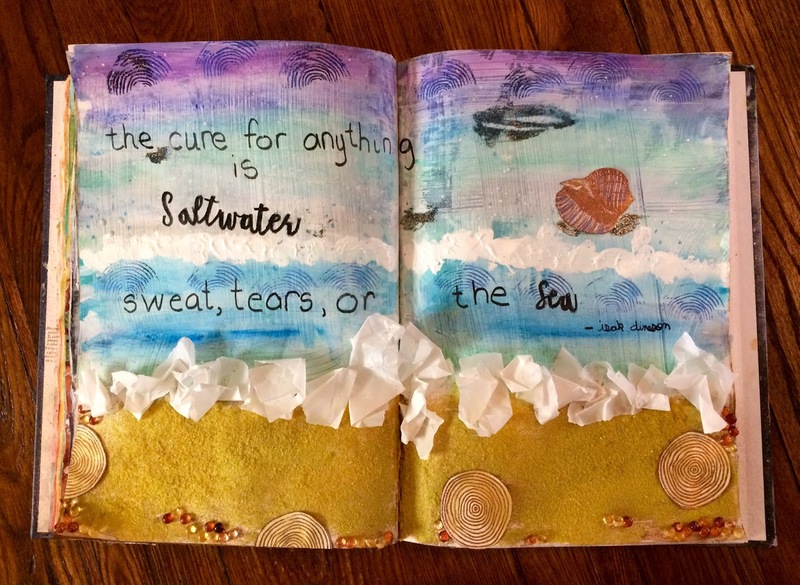 There are two good things to remember when art journaling: 1. Perfection is not the goal, but expression is and 2. keep adding layers until you like it. This journal page is an example of that. 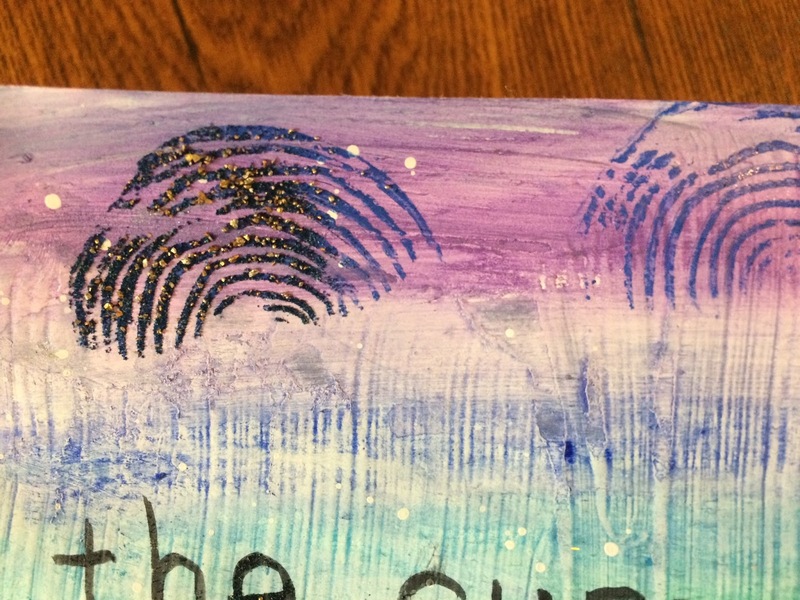 I will admit to you that my workhorse for art journaling is my Tiny Tree Ring stamp. It adds a lot of detail to backgrounds. I've used it to make flowers, too. What can't it do? Want to take a peek at my shop? Click here. Materials: All materials either come from my Etsy store Pink Bunkadoo or are affiliate links for Amazon where I buy most of my supplies.